Looking for a high quality Windshield Repair? We at SeeCured Auto Glass proudly serve Allentown, Bethlehem, and the Greater Lehigh Valley to ensure exceptional windshield repair services. We have the knowledge, experience, and resources to repair and replace your front or rear windshield. Our high quality and timely assistance will repair your windshield fast. We know that being without your car is a major inconvenience. When you bring your vehicle to us, we will examine the issue and repair your automobile windshield promptly. We deliver same day services so that your windshield repair is fast and hassle-free. At SeeCure Auto Glass, we perform windshield repair services and windshield replacements for your car, truck, or van. Your safety is our top priority! Our mobile service will come to you to resolve all of your windshield damages. If you need a windshield repair or replacement, call SeeCure Auto Glass today so we can get you on your way! We hire only the most experienced auto glass replacement professionals. Each one of our qualified technicians has gone through an extensive training and certification process. Your car’s windshield is a significant part of the structure of your automobile and is critical to your safety. Count on us to get the job right to ensure the safety of you and your loved ones. One of the most important things about our auto glass company is our commitment to offering exceptional quality at an affordable price. We guarantee low, fair prices when replacing all types of windshields, regardless of car make and model. 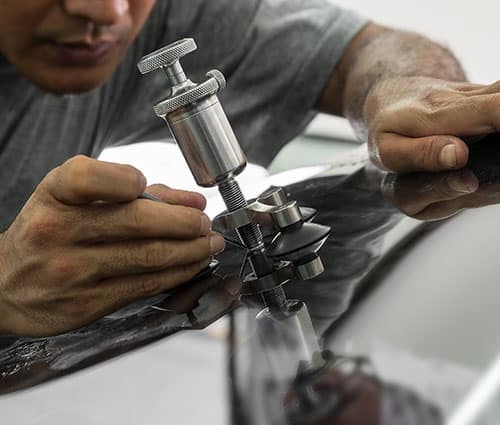 Whether it’s a rock chip repair or auto glass replacement, SeeCure Auto Glass will rises above and beyond the industry’s highest installation standards. Contact us to get a free estimate for your auto windshield repair! SeeCured Auto Glass proudly serves Allentown PA, Bethlehem PA, and the Greater Lehigh Valley. © 2018 Seecured Auto Glass. All Rights Reserved.